Denmark is not a signatory to the Brussels II (bis) which makes it an anomaly within Europe if there is any argument as to jurisdiction. Pre-nuptial contracts are binding in Denmark; however if there is no pre-nuptial contract then each party owns 50% of their common property. It is possible to get child maintenance and alimony but the alimony is not particularly generous. 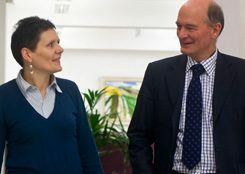 We are specialist international divorce lawyers and family solicitors and we have advised numerous clients who are either UK-based but originate from Denmark, or are living outside of the UK but have a connection with England or Wales.